I live in Texas, I originally had brown vinyl windows, spent $15K, Lowe's had a subcontractor install, in 2000, in 2002 I had Kensignton & US remodelers replace ALL of them as the install was not done and weather came in house,... now i have off white... i had a large sliding bay window and seal broke.... well.... company went under. I am also, having to recaulk inside and out every other year. I think the severe weather changes keep the vinyl expand/constrict in that the caulking gets pulled away. Well, I can only hope I can save enough money and slowly replace them with Pella who i hope will not close their dorrs. the installer was doing drugs on site on the last day. I had to finish up where he did not caulk, because US Remodelers didn't want to deal with me as their original subcontractor who misinstalled the brown ones cost them money. We installed Kensington windows in 2003. Have had no problems at all. Easy to clean and energy efficient. Fast and did a great job. Since they went out of business 9 months after purchasing VERY expensive Q2 model, the UV tint keeps failing. We have replaced 6 window glass now (we have to pay for the glass but the distributor pays for the install) and I can tell we will have more glass in other windows to replace (little brown dots appearing on some others as well). The windows are only 4 yrs old. We unfortunately made a very bad choice and paid through the nose for them. Should have gone with a much cheaper brand. Learned out lesson. I am sure all 25 windows in our house will all have new glass, paid for again by us, in the next two years. My question is why is the UV coating failing on these windows??? They didn't do a very good job caulking. And a lot of the dry wall should have been repaired prior to caulking as well. Installer did slack job, no calking, or insulation in window weight pockets. The sash pulls away from the jamb in the winter when we in Mn. need it the most but the sash shrinks untill you see daylight. We paid through the nose for these 'high quality' Quantum 2 windows 5 yrs ago and 6 months after install Kensington filed bankruptcy, voiding our product warranty. 2 yrs after install, our windows UV coating started to fail. We are replacing every single window (up to 12 of the 22 windows so far) and paying for the glass (again! )Also, the heat mirror in several of the windows and patio door is now loose and wavy. Now I see the company is back in business selling the same product! We made a serious mistake and bought the sales pitch of the local distributor. My advice: buy locally made products that have been in business for over 10 yrs and buy low end of bids you get. The drywall repair was shoddy on some window frames, and the caulking failed after just one year. We had to refill some sashes with wood putty where installers ripped out drywall to fix air leakage and re-caulk ourselves the second year. 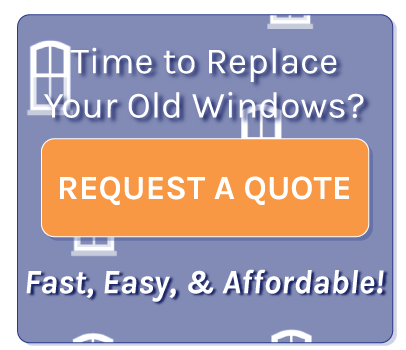 Douglas does pay for install, however, for each window that has to be replaced. But no product support.